The Governing Board oversees the health of the school in two key ways. First, the Board establishes and preserves the mission of the school by ensuring that school processes and policies are congruent with the mission. Second, the Board oversees the sound fiscal and operational management of the school. 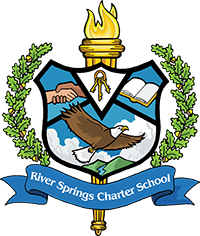 The River Springs Governing Board has well-established bylaws that stipulate the terms and limits of service of each board member. In addition, the board has approved policies to govern themselves, the school management and the student population. These policies and processes clearly delineate the roles and responsibilities of each stakeholder. 2nd term expires 6/30/21 Stephen Darrow, Director……………………………..
Springs keep parents in the loop. With teachers’ support, parents have the necessary tools to reach their children at home while constantly being in touch if help is needed.